Alexander Brest was born on 21st September 1896 at Zwartsluis. Son of Levie Brest and Rosetta Brest-van Dam. In 1922 he got married in Rotterdam to Betje Polak, born on 2 September 1894 in Rotterdam.The couple went to live in Zwartsluis where their two daughters were born: Mietje (born 12.06.1925) and Rozetta (born 26.01.1924). 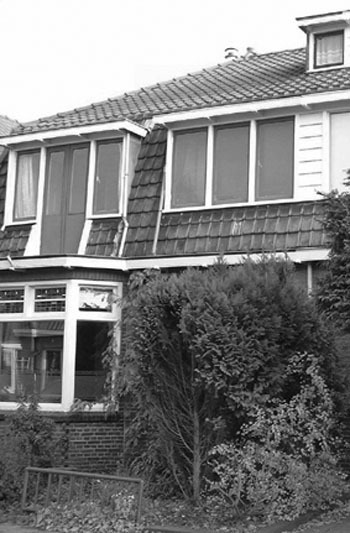 On 5 August 1930 they moved to Meppel, where on 1 January 1933 their son Levie was born. At the beginning of the war Meta and Roza Brest (as they were known around Meppel) were respectively 15 and 16 years old. A former friend of theirs, Roelof Jansen, remembered the afternoons when they were free from school, their cycling trips around Meppel, it seemed so innocent, until one day a policeman told him ‘it’s too dangerous’ and that he should stop the cycling trips, so Roelof stopped. Alexander established a drapery shop at 21Woldstraat in Meppel called ‘The Magnet’ .In 1934 there was probably too little space, for then the family moved to 12 Prinsenplein, where they stayed for two years; in 1936 Alexander opened a business at 6 Maatkade; here too the family continued to live on the premises.In August 1937 things went wrong with the business, which was declared bankrupt.In November 1937 it was already annulled, so at the beginning of January 1938 Alexander started for the fourth time: now from 40 Soembastraat. The family came to live there too. From that moment there was no longer a shop: Alexander travelled by trams or bicycle to sell his products (haberdashery) in the countryside. End 1941, one and half year after the beginning of the occupation, the family Brest had to close their business. Omnia Treuhand Gmbh was taking painstaking care that everything was carried out properly. On the 21st of May 1942 the business went into liquidation and Alexander Brest had to begin the administrative process by going to the chamber of commerce. After that the period of liquidation set in. It seems that the ‘quick’ liquidation did not go according to the wishes of the Germans, as Seuser, the man who supervised it, wrote on 18 July 1942 an angry letter to the chamber of commerce and expressed his displeasure that the bankruptcy had not been mentioned in the trade registers. They were obliged to record the date 29 July 1942. Considering the willingness of the civil servants to cooperate with the Germans, that should not have given any problems. Left: Meta Brest in 1932 . 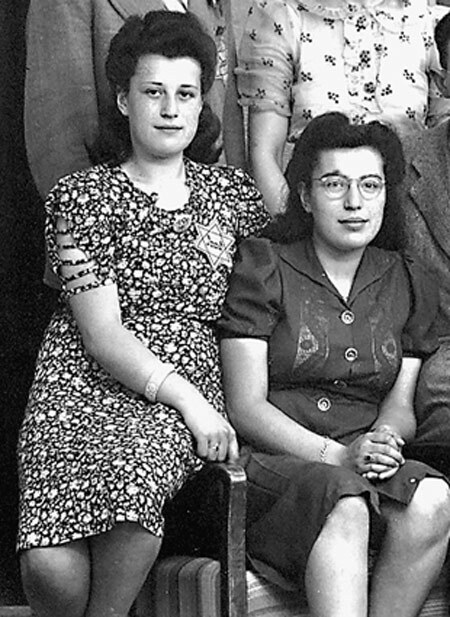 Right: Meta Brest (right) and Rosa Brest in 1942. Meanwhile the Brest children had been sent from school. Levie was in the third class of primary school, Meta was in the last year of high school (ULO) and Rozetta was in the third class of RHBS (a secondary school run by the state). 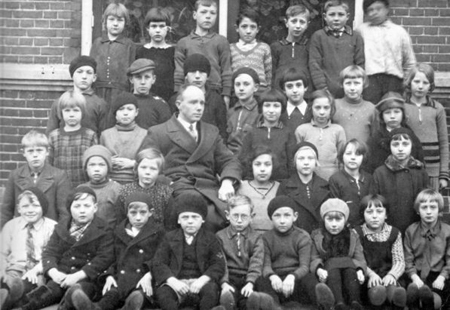 For Meta and Rozetta it meant, that they could go to the Jewish school in Zwolle for a while and for Levie that he could not go to school for a while . He then attended the Jewish primary school in Meppel for a while. On 20 July 1942 Alexander was sent to the labour camp in Orvelte. In this connection we came across his name in the NSB files. Repeatedly I am getting complaints about ‘wandering Jews’ belonging to various camps. From the labour camp Mantinge, camp Ruinen and camp Westerbork it seems that most of the Jews can do as they please. Everything offered was taken. As soon as the reaction to their begging tactics was negative 'they would faint from hunger' etc, so they could arouse compassion. Furthermore it can be considered certain that they send along with their laundry all that was bought or begged, to their respective addresses. The comrades [made unreadable, TR] and [made unreadable, TR] from Drijber are willing to witness. These comrades keep sending the Jews away. Last week another ‘fainted’ Jew was lying in the barn of the Winters family at Drijber. He was cared for by them and being treated with compassion. In Ruinen, Westerbork and Orvelte the 'Jewish plague' is just as bad. They are becoming more impertinent by the day and they know how to win the village residents for them: ‘poor Jews’. It is time to put an end to their walking about freely. According to a message of two comrades in Ruinen [made unreadable, TR] and [made unreadable, TR], the Jew Brest from Meppel was seen in Café Keller at Ruinen, behaving as if there were no regulations. If possible, control must be more severe. If the police took their tasks more seriously, the above-mentioned incidents would not occur. Alexander would never return to Meppel. On the 3rd of October 1942 he was reunited with his wife and children who were arrested in their beds in the night of 2nd and 3rd of October, and also transported to Westerbork. The reunion was short; on the 5th of October the whole family was transported to Auschwitz. On 8 October 1942, Betje, Levie, Mietje and Rozetta, were gassed there. Father Alexander, like many other men who could still work, was selected to work.He was sent to work in Blechhammer, a satellite camp of Auschwitz, where he worked in a petrochemical factory. Maybe in the beginning he believed that he would see his wife and children again; that is what the Germans kept on saying. But soon after he found out that his loved ones were dead. He had to go on with all his grief. Until the 29th of February 1944 he worked in Blechhammer. On that day he died there. 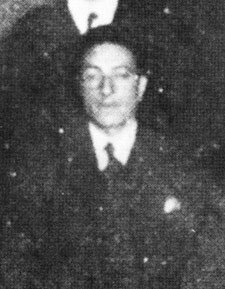 (Extra information): Alexander’s mother Rosetta (His father had died before the war began) died 14 May 1943 in Sobibor and his brother Salomon died 31 December 1942 in Blechhammer.